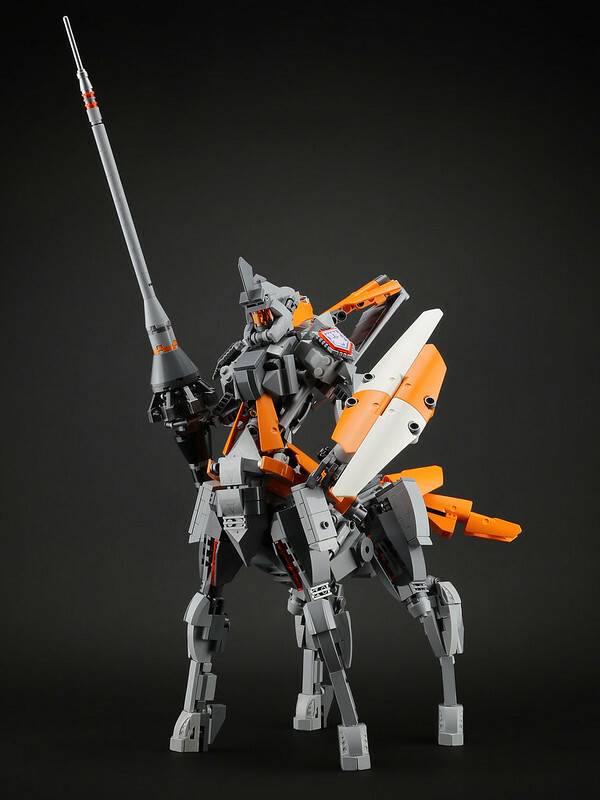 This is an awesome mashup of mech and myth from builder LEGO 7. Meet the Centaur Knight Mech, which has the amazing concept of taking a centaur (part man, part horse) and realizing it in mech form. The results are stunning, in both form factor and construction. The details are understated, keeping it sleek and purposeful, and the color combinations really work well.